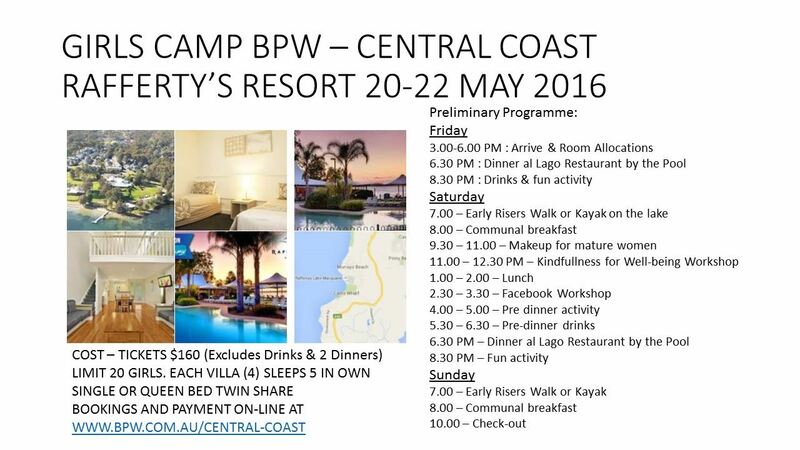 Camp BPW at beautiful Raffert's Resort on Lake Macquarie will be a fun & inspirational weekend to enjoy the company of other like-minded women. The registration cost of $160 includes all activities (except kayak hire and massages), 2 communal breakfasts and 1 lunch. Dinner on both evenings will be at own cost at El Lago restaurant, a casual dining venue with meals generally below $20.